We made your Toyota the superior vehicle it is today and we want to ensure it remains that way – whether it’s taken you 10,000 miles or 100,000 miles. That’s why Gloucester Toyota offers Toyota service and repair, so you have access to the latest specialized technology and precise analysis from Toyota trained technicians who undergo regular, frequent training so they’re always up-to-date on every component of your vehicle. The salesman (Steve) was knowledgeable and helpful. I was able to find a truck I liked and test drive it within minutes. We tested all the features 4x4, back up cam, blind spot detection, etc. On the test drive. When it comes to paperwork their team is on point. Everything I needed was readily available and the process was quick and easy. I'm definitely going to recommend Gloucester Toyota to my friends and family. My husband and I had the greatest experience when we bought our new Toyota Corolla. Mr Tommy Wheat made the experience fantastic and was completley professional. He took his time with us and explained everything to us. No question from me was too stupid to ask. It had been 15 years since we bought our last Toyota Corolla ... over 300,000 miles and still going... so this was a big deal and a big purchase for us. Mr Wheat got us the deal we wanted and an even better payment than we could have imagined. We love our new car ( I still love my old one too) and we would recommend Toyota Gloucester and Mr Wheat to anyone. Very professional staff and good listener. I had a very good experience at Gloucester Toyota. They were very helpful and eager to get me what I wanted for a great price. The dealership is very well kept and is attentive to its buyers. Their coordinated effort was impressive throughout the entire used car buying decision process. They stick to the hassle free policy and they are knowledgeable and respectful, which shows a positive effort to look out for their customers. The gravity alone of purchasing a used car can weigh heavily on ones shoulders, but we were very impressed with our outstanding salesman Cecil Keemer, because he went above and beyond to accommodate our requests. We found his professionalism was enhanced by his charm, integrity and dignity, which made the buying process as smooth as possible. 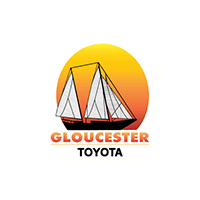 At Gloucester Toyota, our goal is to ensure that all of our customers are completely satisfied. Our team consists of true professionals who are dedicated to our customers. Allow us to demonstrate our commitment to excellence! Please let us know what we can do for you to offer the perfect and ideal car buying or servicing experience. We proudly offer new and used Toyota vehicles to the greater Hampton Roads market serving Gloucester, Mathews, Yorktown, Newport News, and the Northern Neck Virginia market. Let us know how we can help and how we can go above and beyond your expectations so we can continue to provide you with a great Toyota experience!